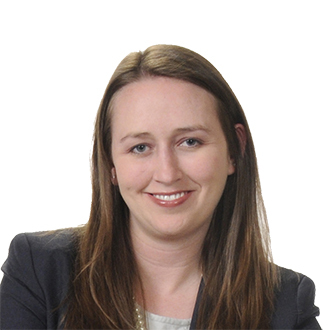 Kristin Gray represents management in labor and employment matters in the courts, in arbitration, and before government agencies, including the EEOC, the U.S. Department of Labor, the South Carolina Department of Labor, the South Carolina Human Affairs Commission, and other agencies at the federal, state and local level. She concentrates her practice on representing management in matters related to employment issues including discrimination, harassment, and retaliation claims under Title VII, the ADA, the ADEA, and state law. Kristin also assists management with issues related to HIPAA compliance, employment policies, handbooks, the FMLA, contracts, separation agreements, wage and hour, and other workplace matters. Kristin's main practice area is employment litigation in both state and federal courts, and she has experience with multi-plaintiff litigation. She regularly provides training to clients and has recently presented on issues including HIPAA, social media concerns for employers, harassment, and various forms of discrimination. Kristin represents employers large and small in a variety of industries ranging from retail corporations and health care providers to educational institutions. Kristin is the Firm’s 2017 Fellow of the Leadership Council on Legal Diversity. She is also a graduate of Leadership Spartanburg and served on its Board of Regents. She is a member of the German American Chamber of Commerce as well as the German American Club of the Carolinas, having served on its Executive Board for four years. Kristin is currently serving on the Board of Directors for Habitat for Humanity of Spartanburg. Kristin is a member of Phi Beta Kappa and volunteers as a running buddy for Girls on the Run Spartanburg. She previously served as the Events Chair for the Spartanburg Young Professionals through the Chamber of Commerce. Kristin is also a regular contributor to the current FordHarrison blog, EntertainHR, an informative look across the landscape of television, movies, sports and celebrity culture from an employment-law perspective. The website is available at http://blogs.hrhero.com/entertainhr/. Her blog contributions also include the retired FordHarrison blog, That's What She Said, which addresses labor and employment law issues raised by employees' conduct on the popular television series, The Office. Won a defense verdict for a large client in a trial before the U.S. District Court for the District of South Carolina alleging sexual harassment and retaliation by a company and its vice-president. Prevailed on numerous charges of discrimination before the Equal Employment Opportunity Commission and the South Carolina Human Affairs Commission. Obtained summary judgment on all claims filed by a plaintiff in two lawsuits against a large retail corporation in a race discrimination lawsuit before the U.S. District Court for the District of South Carolina. Obtained summary judgment on all 49 plaintiffs' claims filed in two related lawsuits in the U.S. District Court for the District of South Carolina alleging various state law contract, quasi-contract, equitable, and tort claims arising from the plaintiffs' terminations following an investigation by the company into employee misconduct. Prevailed a second time when two of the plaintiffs unsuccessfully appealed to the U.S. Court of Appeals for the Fourth Circuit, which affirmed the District Court's decision awarding summary judgment in favor of the company and dismissing plaintiffs' claims. Obtained summary judgment on all claims filed by a plaintiff against a healthcare provider in a race discrimination and retaliation lawsuit before the U.S. District Court for the District of South Carolina.